For notation, I use tablature (“tab”), sometimes written tabulature, because it’s easier to learn and (I think) better for beginners than standard notation. The six lines are the strings of your guitar and the number is the fret where you have to press the string down. (You need non-proportional characters, otherwise the pre-formatted tabs will look awful!). The problem of tablature is that you can’t get the length of a note, so you have to listen to the song before you try to play it (or use both tab and notes). The problem of standard notation is that a tone can be played on several positions on the fretboard – so it’s not definite where to play. Guitar-specific techniques can not be shown with it. So I’ll take the tablature. Sometimes it is useful to see the fretboard positions of all note that belong to a scale. These graphics are a like a direct view on the fretboard, they are no tablature. For this tutorial it is important that you understand tablature! All notes are played at the same time. At first you need a CD-player which can repeat parts of a song. You can also use a freeware like Audacity (see software section), select the difficult part (mouse), copy it (ctrl-c), copy to a new track (ctrl-v) after clicking with the mouse into the free space below the track, select it and slow down using effect – change tempo (not change speed!). 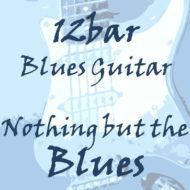 you can use one of these guitar tab programs, but it’s easier to use one of these freeware notepad replacements programs like NoteTab light, EditPad, Notepad+ etc. and make 5 copies. (The length depends on your monitor resolution, this is a short example). press down the insert key of your keyboard, so that you are in the overwrite mode. you can also add the chord to the top of a tab.